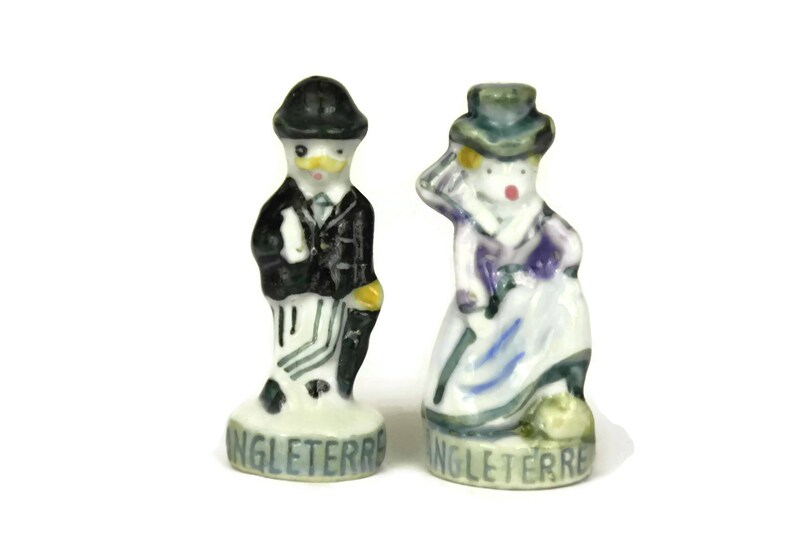 Vintage Feves Collection. 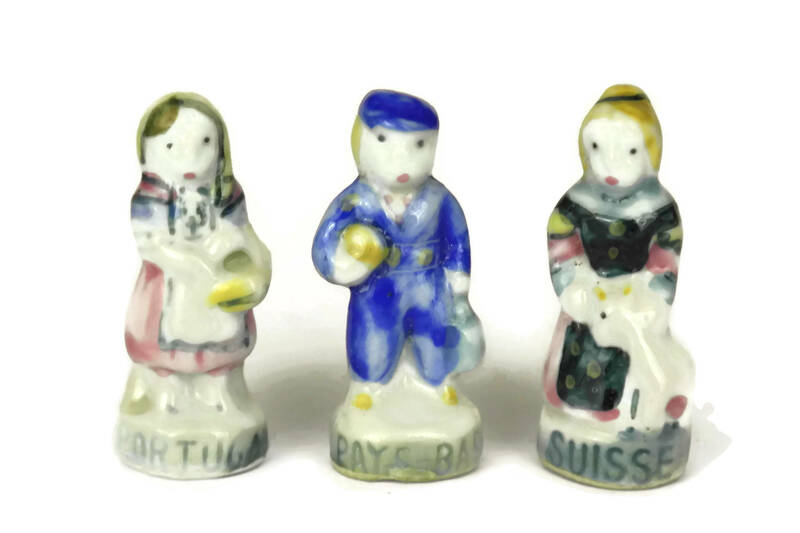 French Miniature Porcelain Doll Figurines. 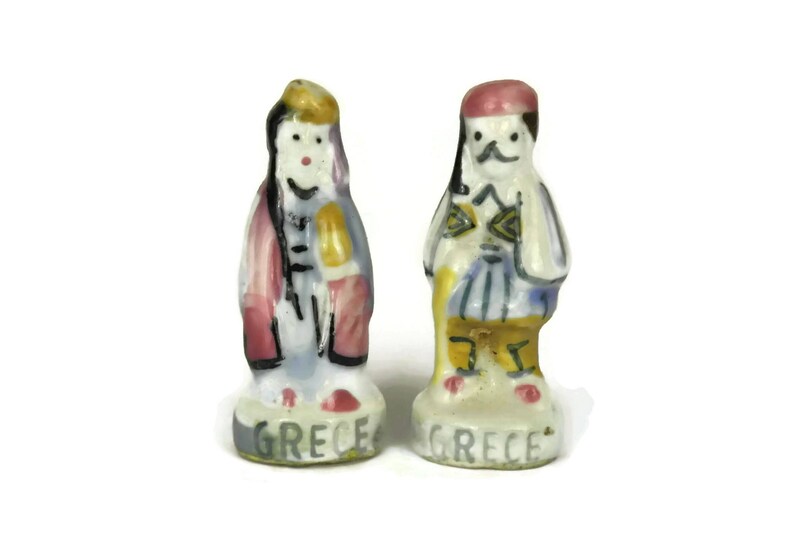 European Country Costumes and Dress Fashion Souvenir Figures. 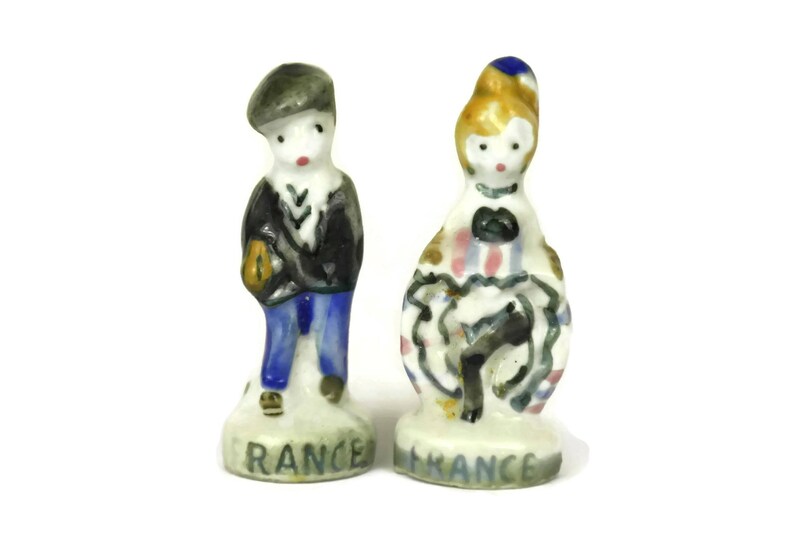 A charming collection of vintage French feves. 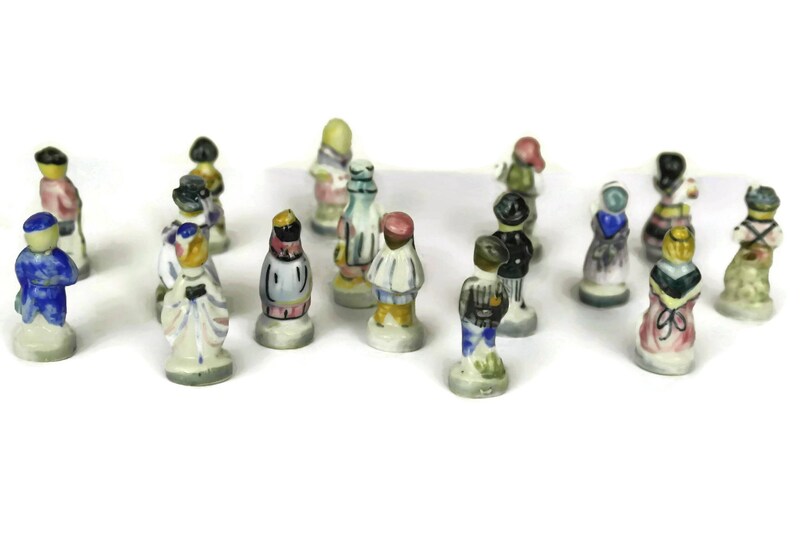 The 16 miniature porcelain doll figurines have been hand painted and feature women and men in traditional dress costumes of different countries in Europe. Each one has the name of their country on the base. In the south of France, there is an ancient Christmas tradition. The King's cake is made each January to mark the day the three Wise Men came upon the nativity. 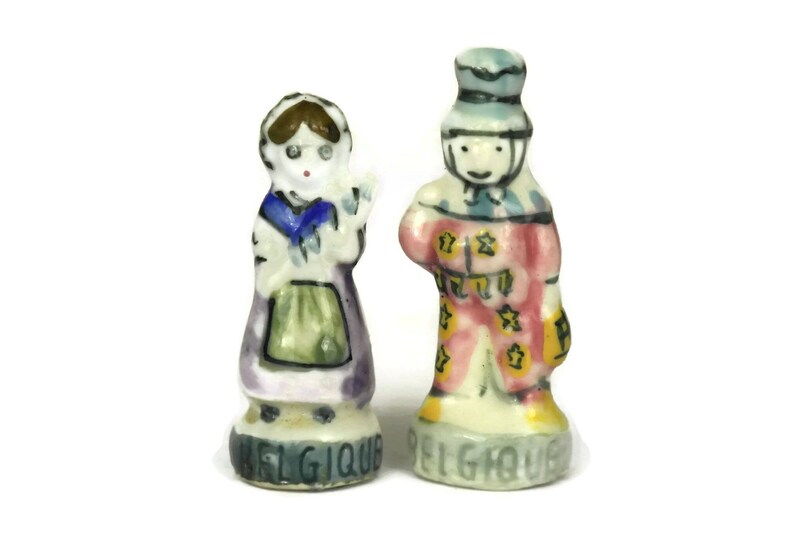 A little ceramic figure is baked with the cake and whoever receives the slice of cake with the figurine is crowned King or Queen. 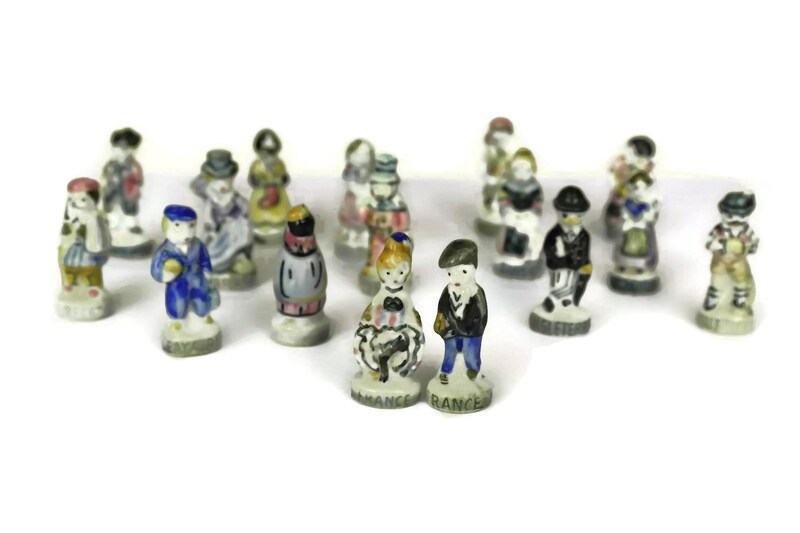 In old times, a simple bean was used (Fève means bean in French) but later the tradition changed to include a collectible little figurine. 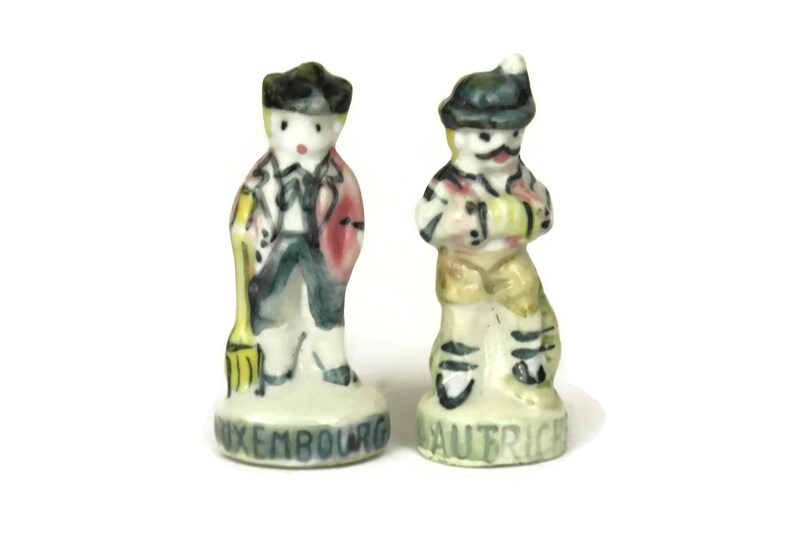 Each souvenir figurine stands approximately 1 3/4" tall (4 cm). 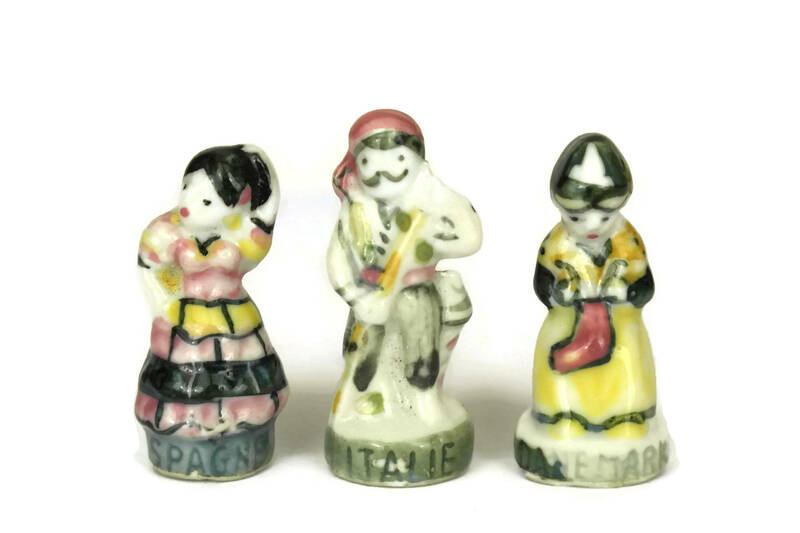 The miniature European fashion figurines are in very good vintage condition with light signs of age and wear.